Two months ago the controversial and highly influential historical theorist Hayden White passed away. White’s theories about the literary nature of historical discourse challenged historians to reconsider the relationship between history and fiction. Throughout his career he championed the idea that historical writing was a form of poetic discourse, something it shared with literary writing, and other categories of artistic prose discourses. While his work has principally been debated in historical theory circles, his final work suggests ‘practical’ possibilities for public history. In his most famous work, “Metahistory: The Historical Imagination in Ninteenth-Century Europe”, White claimed that historians routinely perform an essentially poetic act, selecting specific conceptual strategies to explain or represent the data they gather. He argued that the historical narrative was an historian’s attempt to mediate between “the historical field, the unprocessed historical record, other historical accounts, and an audience”. For White, when a historian starts to write an historical narrative, they are predisposed to organise their insights into specific modes, derived from and limited in choice by, what he believed to be the tropic deep structure of historical consciousness. At this early point in his oeuvre, White arguably made no specific claim for the ontological reality to which historical narratives refer. Rather, he argued that the historical past was always mediated by textual forms,  or more precisely, that the historian ultimately relies on aesthetic and ethical/political criteria as “grounds for choosing one perspective on history rather than another”. Decades later, Roger Chartier would still be reflecting the history profession’s uneasiness about the extent to which White ignored questions about the history text’s “reliability as witness”, but celebrating White’s work as a force that liberated the discipline from its insensitivity to “the modalities and figures of discourse”. White’s argument that historical narratives are artefacts of an interpretive act constituted by an historian’s use of particular rhetorical, tropological, narratological, and ideological strategies, made him one of the most significant figures in the movement that became known as ‘narrative impositionalism’, an intellectual movement that included scholars such as Roland Barthes, Louis Mink, and later Frank Ankersmit. For narrative impositionalists, the history text was a literary artefact, and writing history involved a process of transforming the traces of the past into a narrative form. Through this process, history becomes unavoidably “the texted past”. It is perhaps this position that is largely responsible for White often being labelled a postmodernist, despite Ankersmit’s declaration that White was actually an “unrepentant structuralist”, and White revealing in an interview with Ewa Domańska that he saw himself as a structuralist and formalist. Historically speaking, by concentrating on the form of the historical text, rather than the academic processes that produced it, White’s work would resonate with the claim that became a hallmark of postmodernist scholarship and made Derrida famous: “il n’y a pas de hors-texte”. In his focus upon the historical imagination, and his criticism that historians “neglect to historicize history” and “do not historicize their own operations”, there is also something that resonates with the German hermeneutic tradition, in what we might call White’s complex ‘historiosophy’. White saw the professionalisation of History into an academic discipline, as an anti-radical move, “carried out in the modern period in service of political values and regimes that were in general anti-revolutionary and conservative”, and aimed at “providing an antidote” to the use of history in the service of “socially transformative ideologies,” which it achieved by distancing itself from theory. In seeking to produce dispassionate narratives of the past, in the interests of transforming professional history into a science, White argued that the discipline gave up on any claim to a “usable past”. 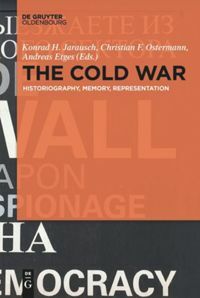 In his final work, White articulated a distinction between “the historical past” (that arises out of professional historian’s socially authorized investigations of the past) and “the practical past” (the many ways in which: people in everyday life; practitioners of other disciplines, such as the philosophy of history, memory studies, narratology; and authors of the past such as historical novelists and filmmakers, seek to use ‘the past’ as a resource for making decisions about what actions to take in the present). If we accept White’s distinction, then what he is calling “the practical past” is a truly public form of history, characterised by history-making for the practical purpose, in a Nietzschean sense, for living a better life, or at least a life of one’s own choosing. With White’s passing we may have lost one of our times’ great explorers of the nature of history. However, his work will undoubtedly find its way into new discussions of the historical past, and in his exploration of “the practical past” offer promising possibilities for theorizing and investigating the public’s uses of history, and thus public history itself. Doran, Robert. Philosophy of History after Hayden White. London: Bloomsbury, 2013. White, Hayden. The Practical Past. Evanston, Illinois: Northwestern University Press, 2014. White, Hayden. “The burden of history”. In Topics of Discourse edited by Hayden White, 27-50. London: John Hopkins University Press, 1978. Genzlinger, Neil, “Hayden White, who explored how history is made, dies at 89”. The New York Times March 9, 2018, www.nytimes.com/2018/03/09/obituaries/ (last accessed: May 7, 2018). Hayden White and Ethan Kleinberg, “A Conversation at Wesleyan’s Center for the Humanities. Wesleyan” October 11, 2013. www.youtube.com (last accessed: May 7, 2018). Ethan Kleinberg and Hayden White, “On the Practical Past”, Part 1, History and Theory January 18, 2018. www.youtube.com (last accessed: May 7, 2018). Hayden White, The Practical Past (Evanston, Illinois: Northwestern University Press, 2014). Hayden White, Metahistory: The Historical Imagination in Ninteenth-Century Europe (Baltimore: John Hopkins University Press, 1973), 5. Michael S. Roth, “Cultural criticism and political theory: Hayden White’s rhetorics of history” In The Ironist’s cage: Memory, trauma, and the construction of history, ed. Michael S. Roth (New York: Columbia University Press, 1995), 137-147. Keith Jenkins, “Nobody does it better: Radical history and Hayden White”, Rethinking History, Vol. 12, No. 1 (2008): 70. Roger Chartier, On the edge of the cliff: History, language, and practices (Baltimore: John Hopkins University Press, 1997), 38. Kalle Pihlainen, “Narrative objectivity versus fiction: on the ontology of historical narratives” Rethinking History, Vol. 2, No.1 (1998): 7-22. Greg Dening, Performances (Melbourne: Melbourne University Press, 1996). Keith Jenkins, On “What is history?”: From Carr and Elton to Rorty and White (London: Routledge, 1995). Frank R. Ankersmit, “Hayden White’s appeal to the historians”, History and Theory, Vol. 37, Issue: 2 (1998): 185. Ewa Domańska, Encounters: Philosophy of history after postmodernism (Charlottesville: University Press of Virginia, 1998), 19,27. Translated as “There is nothing outside the text”, or more correctly “There is no outside text”, from: Jacques Derrida, Of grammatology (Baltimore: John Hopkins University Press, 1976), p, 158. Hayden White cited in Ewa Domanska, “A conversation with Hayden Whit”e, Rethinking History , Vol. 12, No.1 (2008): 16. Here, after the fashion of Hayden White himself, I coin a neologism to stand in for “Historical Philosophy” that I would hope he would have liked. Oliver Daddow, “Exploding history: Hayden White on disciplinization”. Rethinking History, Vol. 12, No.1 (2008): 41-58. Hayden White, The content of the form: Narrative discourse and historical representation (Baltimore and London: John Hopkins University Press, 1990), 60. Hayden White, “The public relevance of historical studies: A reply to Dirk Moses”, History and Theory, Vol. 44, No. 3 (2005), p. 334. Hayden White, The Practical Past. Hayden White © Ewa Domańska. Thanks to the courtesy of Prof. Ewa Domańska. Der kontroverse und zugleich äußerst einflussreiche Historiker Hayden White ist im März diesen Jahres verstorben. Whites Theorie über den poetischen Charakter der Geschichtsschreibung hat Historiker gezwungen, das Verhältnis zwischen Geschichte und Fiktion zu überdenken. Sein Leben lang vertrat White die Ansicht, dass die Geschichtsschreibung, wie literarische und andere Prosawerke, poetologischen Kategorien unterliegt. Während also sein Hauptwerk vor allem Gegenstand theoretischer Geschichtsdebatten war, eröffnete sein letztes Werk “praktische“ Möglichkeiten für die Public History. Mit der Wahl eines bestimmten konzeptionellen Zugangs, um die gesammelten Daten darzustellen bzw. zu erläutern, vollziehe der Historiker / die Historikerin eine grundlegend poetische Handlung, so White in seinem berühmtesten Werk “Metahistory: Die historische Einbildungskraft im 19. Jahrhundert in Europa”. Das von einem Historiker / einer Historikerin gewählte Narrativ sei sein Versuch, zwischen “dem historischen Feld, der unbearbeiteten historischen Quelle, anderen historischen Erzählungen und einem Publikum“ zu vermitteln. 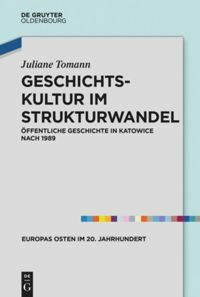 Laut White organisiere ein Historiker / eine Historikerin seine / ihre Erkenntnisse beim Schreiben nach bestimmten narrativen Modellen, die der tropischen Tiefenstruktur historischer Einbildungskraft entstammten und durch diese definiert seien. 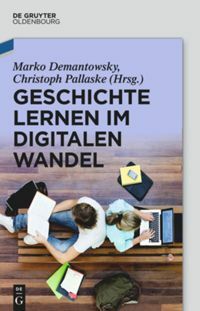 In dieser frühen Phase seiner wissenschaftlichen Tätigkeit definierte White keine ontologische Wirklichkeit, auf die sich die jeweiligen historischen Narrative beziehen würden. Stattdessen argumentierte White, dass die Vergangenheit stets durch die Form des Textes vermittelt werden würde, oder genauer gesagt, dass sich der Historiker letztlich auf Grundlage ästhetischer und moralischer/politischer Kriterien “für die eine oder für die andere Perspektive entscheidet“. Jahrzehnte später würde Roger Chartier immer noch das Unbehagen ausdrücken, das White bei Historikerinnen und Historikern hervorgerufen hatte, indem er die Frage nach dem “Wahrheitsgehalt historischer Texte“ fast vollkommen ausgeblendet hatte. Zugleich aber zollte er White Anerkennung dafür, dass er mit seiner Arbeit die Geschichtswissenschaft für die “Modalitäten und Tropen des Diskurses“ sensibilisiert habe. Historische Darstellungen seien Interpretationen der Vergangenheit, für die sich die Historikerin / der Historiker bestimmter rhetorischer, tropologischer, ästhetischer, narrativer, und ideologischer Strategien bedient. Diese Ansicht machte White zu einem der bedeutendsten Vertreter der “narrativen Impositionalisten“, zu denen Roland Barthes, Louis Mink und später Frank Ankersmit gehörten. Die Impositionalisten betrachteten historische Darstellungen als literarische Artefakte und die Geschichtsschreibung als Transformationsprozess einzelner Fragmente der Vergangenheit in eine Narration. Durch diesen Prozess wird die Geschichte unvermeidbar zu einer “erzählten Vergangenheit“. Vermutlich wird White aufgrund dieses Grundsatzes oft als Postmodernist bezeichnet, obwohl Ankersmit White einen “unverbesserlichen Strukturalisten“ nannte und White selbst in einem Interview mit Ewa Domańska angab, sich als Strukturalisten und Formalisten zu verstehen. Aus historischer Perspektive wird deutlich, dass Whites Arbeiten durch den Fokus auf die Verfasstheit des historischen Textes, statt auf den akademischen Prozess, durch den dieser entsteht, die Ansicht zugrunde liegt, die zu einem der Kennzeichen der postmodernen Schule werden sollte und Derridas berühmten Ausspruch “il n`ya pas de hors-texte“ formte. Indem White sich auf die historische Einbildungskraft konzentrierte und Historikerinnen und Historiker dafür kritisierte, “Geschichte nicht zu historisieren“ und “ihre eigene Arbeitsweise nicht im historischen Kontext zu sehen“, schwingt auch etwas der deutschen Hermeneutik in Whites komplexer “Historiosophie“ mit. White betrachtete die Professionalisierung der Geschichte zu einer akademischen Disziplin als eine antiradikale Entwicklung, “die sich in der Neuzeit im Dienste anti-revolutionärer und konservativer politischer Werte und Regime vollzog“. Sie sollte als “ein Antidot“ zur Nutzung der Vergangenheit durch “sozialrevolutionäre Ideologien“ wirken, was durch die Distanzierung von der Theorie erreicht wurde. Durch den Anspruch, sachliche Vergangenheitsdarstellungen zu produzieren, um die Geschichtsschreibung als eine Wissenschaft zu etablieren, habe die Historiographie, so White, jeglichen Zugriff auf eine “nutzbare Vergangenheit“ verloren. In seinem letzten Werk differenzierte White zwischen der “historischen Vergangenheit“ (die durch gesellschaftlich anerkannte Methoden der Vergangenheitsrekonstruktion produziert werde) und der “praktischen Vergangenheit“ (alle alltäglichen Zugriffe auf die Vergangenheit, um Orientierung für gegenwärtige Handlungen zu gewinnen – etwa von Vertretern anderer Disziplinen, wie der Geschichtsphilosophie, der Memory Studies oder der Erzähltheorie, und von Autoren von Geschichtsromanen und Filmen). Stimmt man Whites Differenzierung zu, stellt die von ihm beschriebene “praktische Vergangenheit“ eine wahrlich öffentliche Form der Geschichte (also Public History) dar, eine Geschichtsschreibung zu praktischen Zwecken, um – im Nietzscheanischen Sinne – ein besseres oder zumindest ein selbstverantwortliches Leben zu führen. Mit White haben wir wohl einen der großen Analysten der Natur der Geschichte verloren. Seine Werke werden jedoch zukünftige Geschichtsdebatten beeinflussen und seine Analyse der “praktischen Vergangenheit“ hat wertvolle Möglichkeiten für die Erforschung des öffentlichen Umgangs mit der Vergangenheit – und somit für die Public History – eröffnet. Genzlinger, Neil, “Hayden White, who explored how history is made, dies at 89”. The New York Times March 9, 2018, www.nytimes.com/2018/03/09/obituaries/ (letzter Zugriff: 7. Mai 2018). Hayden White and Ethan Kleinberg, “A Conversation at Wesleyan’s Center for the Humanities. Wesleyan” October 11, 2013. www.youtube.com (letzter Zugriff: 7. Mai 2018). Ethan Kleinberg and Hayden White, “On the Practical Past”, Part 1, History and Theory January 18, 2018. www.youtube.com (letzter Zugriff: 7. Mai 2018). Michael S. Roth, “Cultural criticism and political theory: Hayden White’s rhetorics of history” In The Ironist’s cage: Memory, trauma, and the construction of history, ed. M. S. Roth (New York: Columbia University Press, 1995), 137-147. Hayden White cited in Domanska, E., “A conversation with Hayden Whit”e, Rethinking History , Vol. 12, No.1 (2008): 16. Hayden White, “The public relevance of historical studies: A reply to Dirk Moses”, History and Theory, Vol. 44, No. 3 (2005), 334. Parkes, Robert: Hayden White’s praktisches Erbe. In: Public History Weekly 6 (2018) 17, DOI: dx.doi.org/10.1515/phw-2018-11994.